There really is an extraordinary amount of exciting sport going on at the moment - the Brits are going well at Wimbledon, the Ashes are about to start, the Open is coming up at St. Andrews and Glorious Goodwood is at the end of the month. 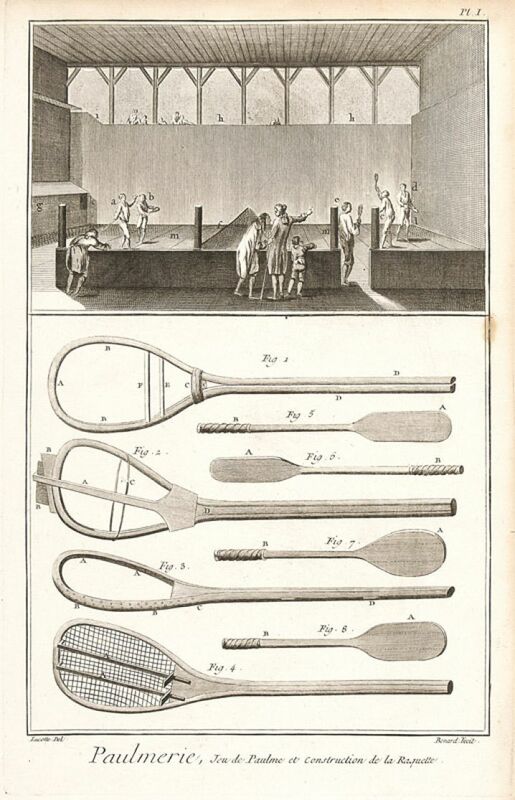 To celebrate this feast of athletic feats (and golf) performed in the blazing British sun, we've put together a catalogue of books and prints about our nation's favourite summer sports: cricket, golf, horse riding and tennis. 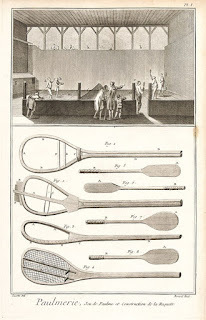 Items range from the entry on real tennis from Diderot's great Encyclopédie (pictured) to portraits of Don Bradman, from copies of Wisden to a book on horsemanship by the Sun King's own riding master, from P.G. Wodehouse to Ian Woosnam. And for those of you with really rarified tastes, there's even a book on croquet. This catalogue will only be available online, so please keep an eye on our website or contact us at books@sotherans.co.uk for more details.